After earning his master’s degree at the School of Visual Arts in New York, Ilhan spent several weeks visiting cancer hospitals in Turkey speaking to both patients and doctors. “I learned morale and social support are two very important factors that can positively change a patient’s experience,” Ilhan said in an interview with CNN. 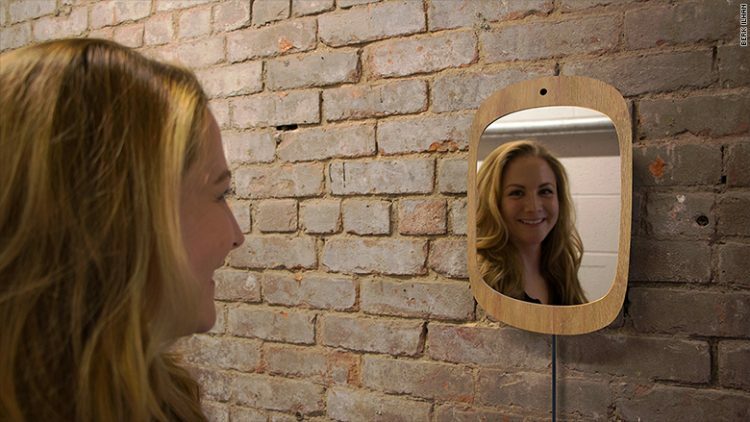 He spent two years designing and developing the mirror, the idea behind it being that smiling, even when forced, can genuinely make us feel better, according to research known as the facial feedback hypothesis. Laughter is linked to improved immune system function, and some researchers claim it can even increase our lifespans. 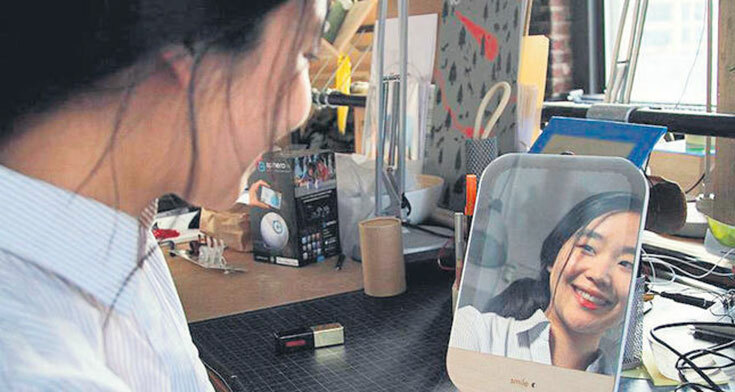 Ilhan is currently producing the mirror in limited quantities at the previously mentioned price of $2000-$3000 (USD). The product, however, will soon be launching a Kickstarter campaign in which Ilhan hopes to raise enough funds to bring the price down to $500 (USD). He also intends to donate the mirror to hospitals when it is financially feasible to do so. Despite Ilhan’s excellent intentions, the mirror has not been universally well received. Some feel that it is condescending at best, and exploitative at worst considering the shockingly high price. Others have even compared the mirror to the common street harassment most women experience when strangers demand they smile.